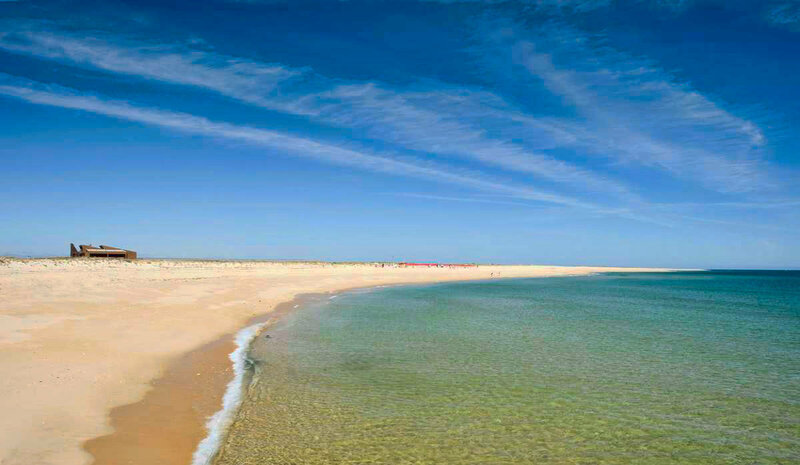 Ilha Deserta (also known as Ilha da Barreta) is an island near Faro. 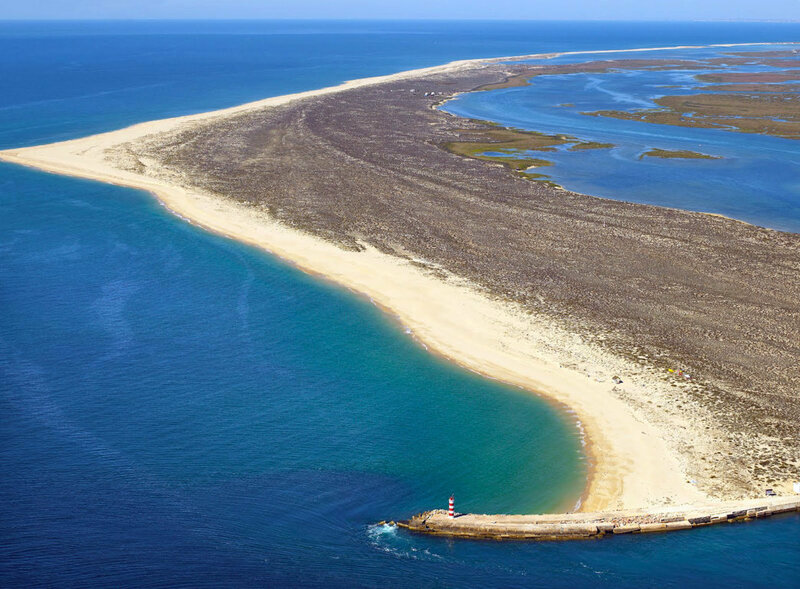 Literally, Ilha Deserta means Deserted Island. This pretty much describes the island, since there are no people who live on this island permanently. The island is famous for its beautiful beach and unspoiled nature. It is truly a paradise in the Algarve. 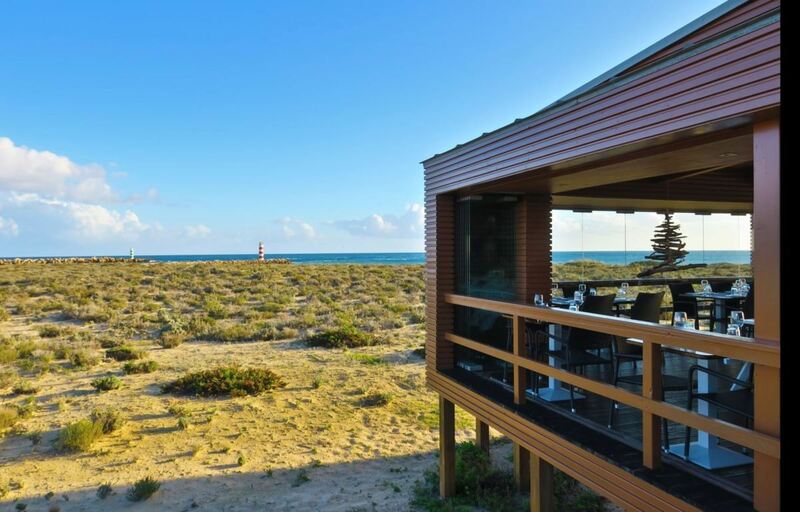 Watch the short video below to get an idea of the remoteness and the beauty of Ilha Deserta. The beach of Ilha Deserta stretches for about 7 kilometres. 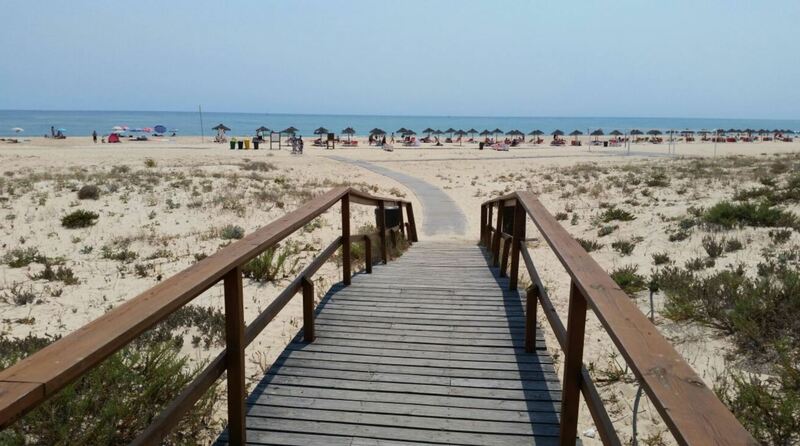 The main appeal of this beach is its remoteness and its unspoiled nature. The beach on the island is one of the most remote beaches in the Algarve. There are no houses on the island, only one restaurant. 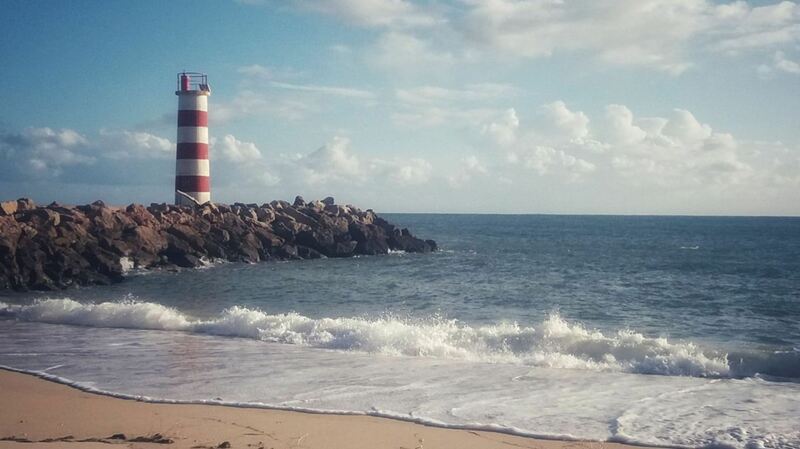 According to TripAdvisor, Ilha Deserta is the #1 thing to do in Faro. The sand on the beach is white and very soft. It feels very nice to walk on this sand. 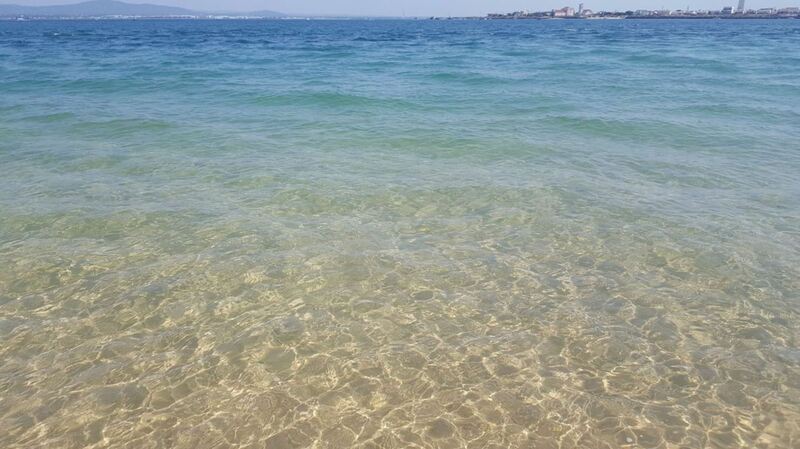 On the beach you can enjoy the sun and swim in the sea peacefully. There is not much else to do on this beach. The water here is exceptionally clean. In fact, the water is so crystal clear that you can sometimes see the shells lying on the bottom of the ocean. In summer, the water can even reach 24 degrees Celsius. There are no cliffs on the island, in constrast to some of the other beaches in the Algarve. This also means that there is no shade. Since the sun can be quite strong here, make sure to bring your own parasol. Otherwise there is always the opportunity to rent a sunbed. The formal name for the island is Ilha da Barreta. Among fishermen, it is more commonly known as Ilha Deserta. Ilha Deserta is one of the five barrier islands of the Ria Formosa. The other four are Culatra, Armona, Tavira and Cacela. Ilha Deserta is the only uninhabited island of them. The only building on this island is a restaurant. In the evening also the people from this restaurant leave the island, making the island truly deserted. In terms of people, Ilha Deserta is a really quiet beach. Even in summer there will only be a handful of people on this island. 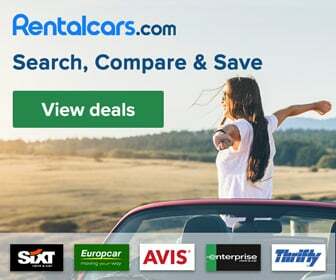 It is a great alternative to the crowded beaches that you can find in other parts of the Algarve. This deserted island is a peaceful and idyllic location and is perfect for a day trip. Most of the people that arrive on the island, stay on the part of the beach near the restaurant and sunbeds. You will also find a pier here, with a small lighthouse. There are no roads or cars on the island. This means that the island is one of the few places near Faro where there is no air pollution. It is also a very clean beach. It is so refreshing to smell the clean air and just hear the sound of the Atlantic Ocean in the background. The beach will make you feel like you truly are in paradise. This, combined with the azure blue water, makes Ilha Deserta one of the best beaches in the Algarve. The sunset seen from the island is amazing. However, make sure to not miss the last boat back to Faro. 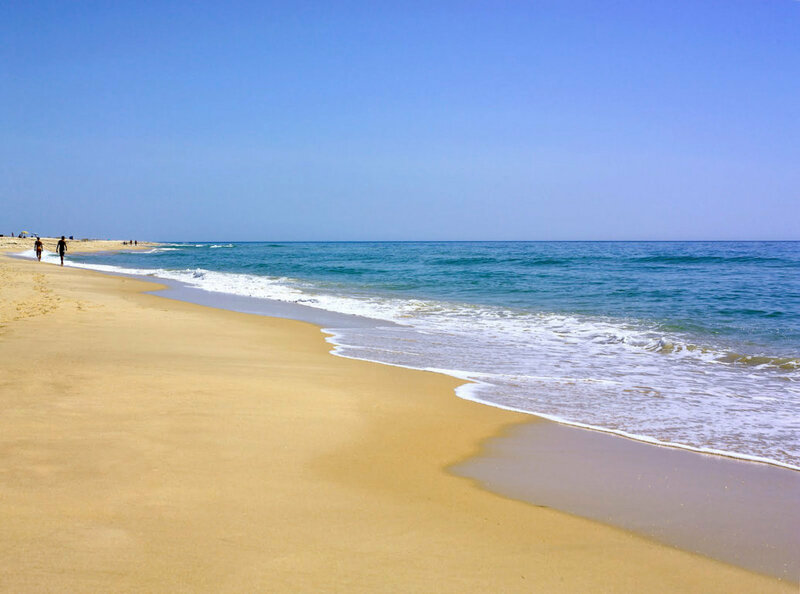 Since Ilha Deserta stretches for many kilometres, it is the perfect place for long beach walks. It is so peaceful to just walk here, along the sea. If you walk far enough, you will reach areas where you will see almost no other people on the beach. You will be alone on the beach. 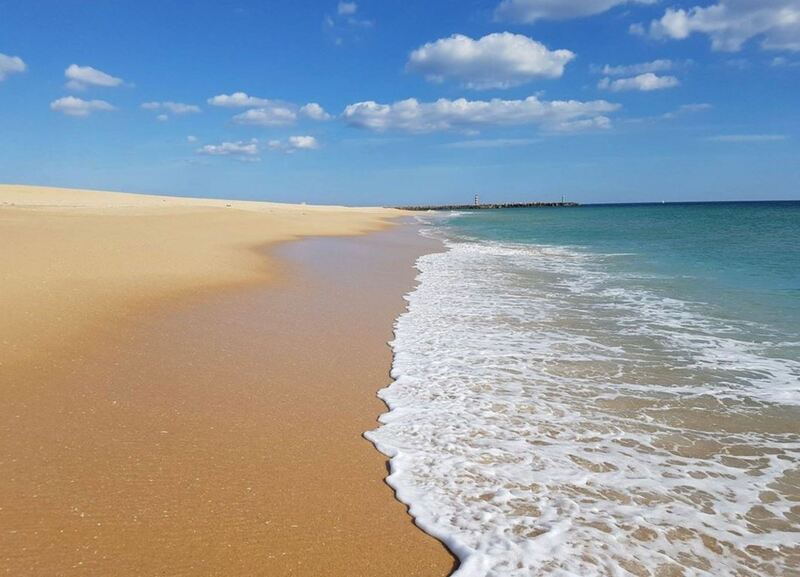 Ilha Deserta is one of a few beaches in Portugal that are officially classified as an naturist beach. There is an area for nudism. This area can be found on the western side of the island, about 30 minutes walking from where the ferry arrives. 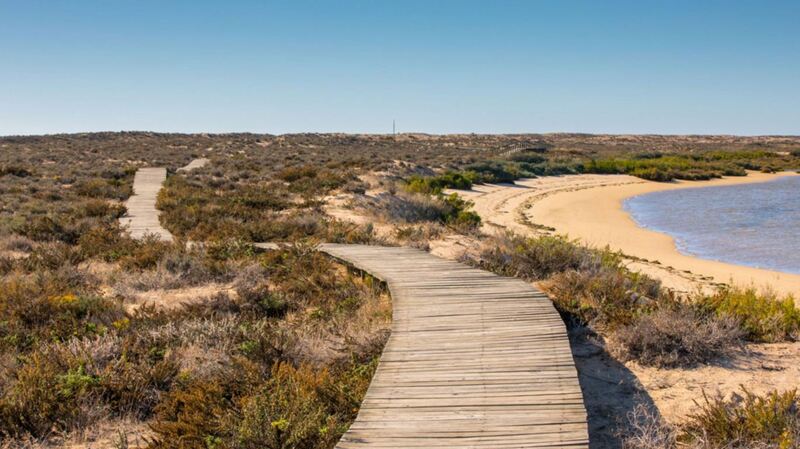 There is also a walking trail on the island, which consists of a wooden path along the flora and fauna. It is called the Santa Maria boardwalk and was built in 1999. You will see the walking trail when you arrive on the island. 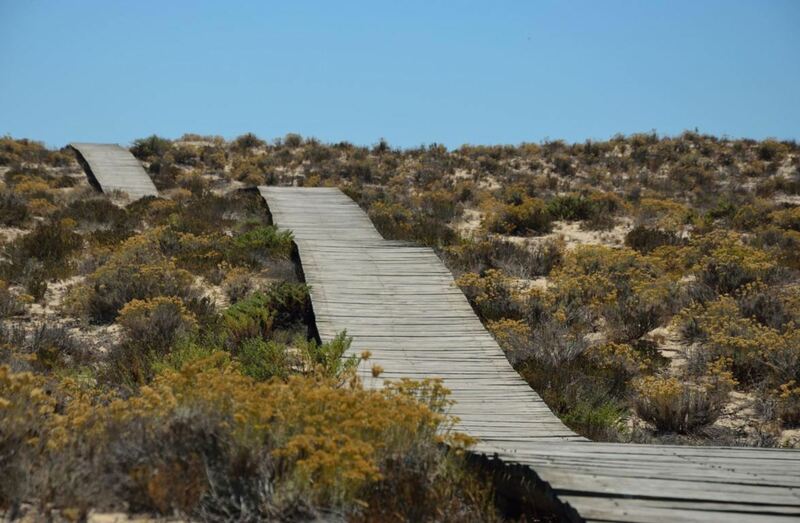 The walking trail is about 2 kilometres and takes you along the sand dunes. This nature trail gives you the opportunity to see interesting wildlife, especially birds. It is also possible to go here with a local guide from Animaris. 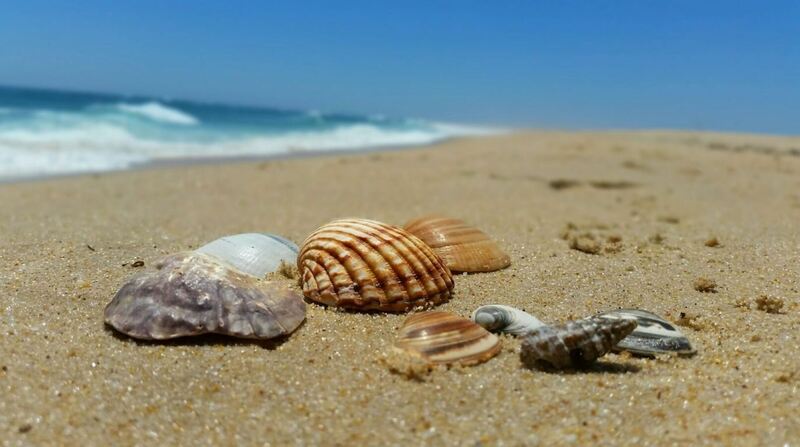 In some parts of the beach you can find a lot of shells. This also gives the beach its pristine feeling. However, the organization that looks after Ilha Deserta (Animaris), asks tourists to not take home any shells though. They would like to preserve the beauty of the island. 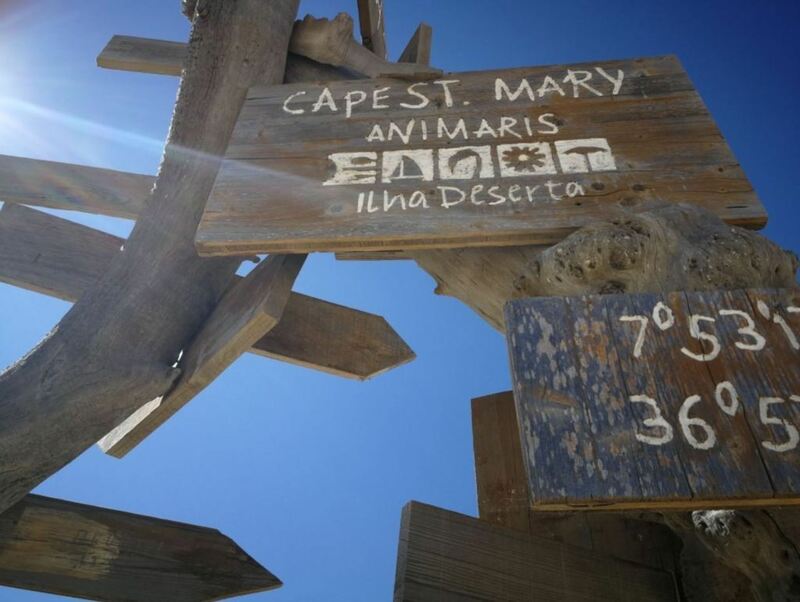 On Ilha Deserta there is a point called Cabo de Santa Maria (Santa Maria Cape). This is the most southern point of continental Portugal. The point itself is part of the beach, and is located about 2 kilometres from where the boat arrives. It is marked with a wooden structure, which has directions to some major cities on it. In fact, more than 100 years ago, Ilha da Culatra and Ilha Deserta were one big island, called Ilha do Cabo de Santa Maria (Island of Santa Maria Cape). There is also a lighthouse on Ilha da Culatra, called Farol Do Cabo de Santa Maria (Santa Maria Cape lighthouse). The lighthouse was built in 1851. The part of Ilha da Culatra where the lighthouse is situated is often referred to as Ilha do Farol. In the beginning of the 20th century, the opening of a canal caused the island to split in two. One part was named Ilha da Barreta and the other part was named Ilha da Culatra. Later, Ilha da Barreta became known as Ilha Deserta. There is one restaurant on the island, called O Estaminé. The restaurant is the largest building on the island and is located in the eastern part of the island, near the arrival/departure point. 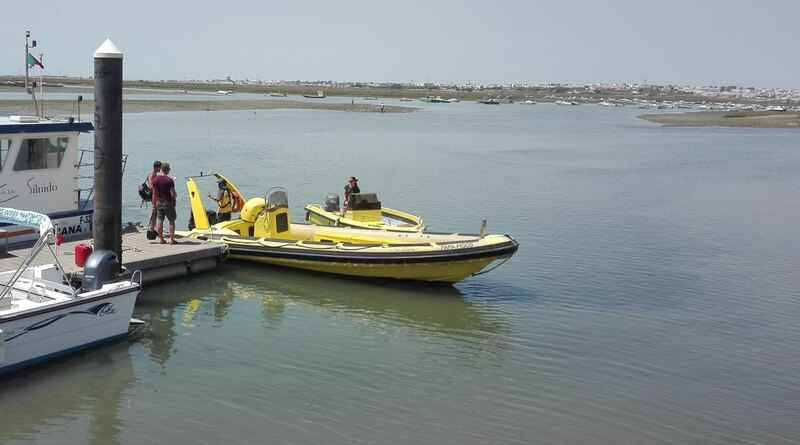 It is run by Animaris, the same organization that offers the ferry to Ilha Deserta. The restaurant is open all year round. Prices are decent, especially considering the fact that it is the only restaurant on the island. The kitchen of this restaurant runs on solar power. This restaurant is also the most southern restaurant of continental Portugal. The restaurant serves only food from the Algarve, and specializes in fresh fish and shell fish. 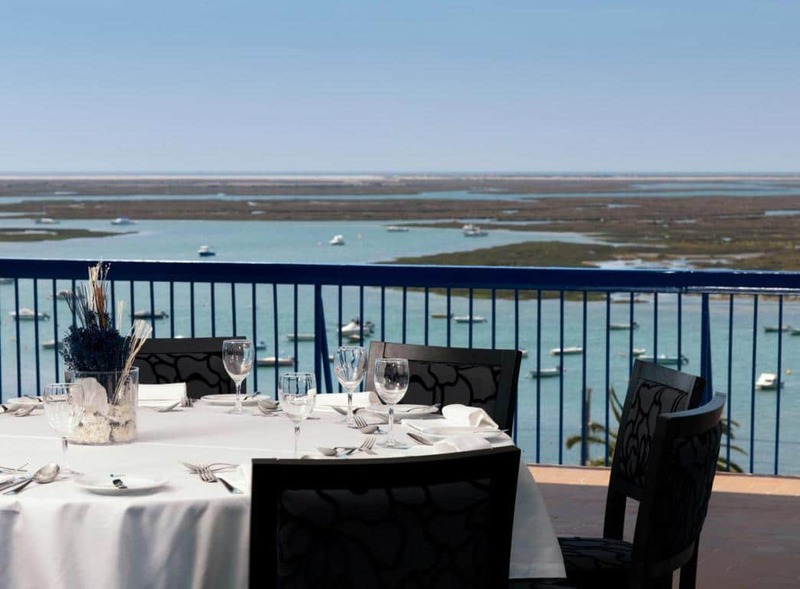 It is one of the best seafood restaurants in the Algarve. The restaurant consists of one large dining area. The best place to sit is near the glass wall, since the view is amazing. During the summer it is recommended to make a reservation. Although this is not required, it makes sure you will have a spot at the only restaurant on the island. You can make a reservation online or by phone (+351 917 811 856). Ilha Deserta can only be reached by boat. The boat leaves from Faro (at the Cais das Portas do Mar, near the marina). The organization that runs the route is called Animaris. You can buy tickets for the regular ferry or speedboat shuttle online at their website. This will save you time at the ticket desk in Faro, and guarantees you a spot on the boat. During the boat trip, it is possible to see several bird species, like flamingos, in the natural park of Ria Formosa. 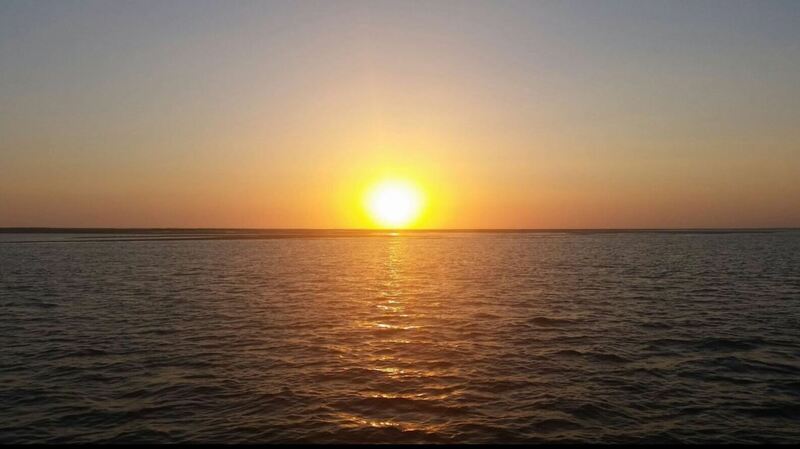 The adventure of the boat trip adds to the experience of visiting the deserted island. The ferry is the standard way of reaching the deserted island. This costs € 5 (€ 2,50 for children) and takes about 45 minutes. Boats leave from Faro at 10.00, 12.00, 13.30, 15.00 and 16.45 o’clock. The ferry to return to Faro leaves at 10.45, 12.45, 14.15, 16.00 or 18.00 o’clock. The ferry has a maximum capacity of 96 people and has toilets aboard. This ferry service runs all year long. You can also book your ticket for the ferry below. The regular speedboat shuttle is a faster way of reaching the deserted island. It is slightly more expensive. A ticket costs € 10 (€ 5 for children) and the trip takes about 15 minutes. It saves you 30 minutes of travel time compared to the regular ferry. You will travel with other tourists in the speedboat. It has a maximum capacity of 18 people. 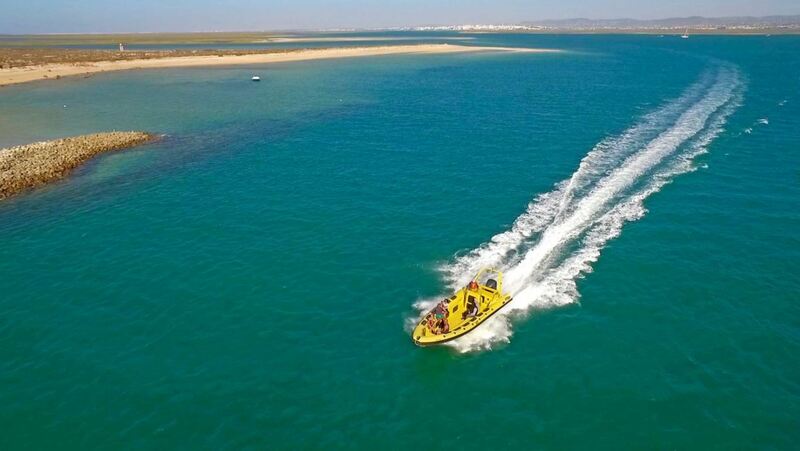 The speedboat shuttle leaves from faro at 10.30, 11.30, 12.30, 14.15, 15.15 and 16.15 o’clock. The return to Faro from the island is at 15.30, 16.30, 17.35 or 18.30 o’clock. This service also runs all year long. The private speedboat shuttle is basically the same speedboat as the option above, but without other tourists. The speedboat is just for you and your group/family. It has a maximum capacity of 18 people. The trip takes about 15 minutes, which saves 30 minutes of travel time compared to the regular ferry. It costs € 50. If you want to book the private speedboat shuttle, you should contact Animaris or inquire at the ticket desk. Make sure you don’t miss the boat back to the mainland! If you do, you are basically stuck on a deserted island. The only way to get off the island after 18.30 is by private speedboat shuttle, which will cost you 50 euros. 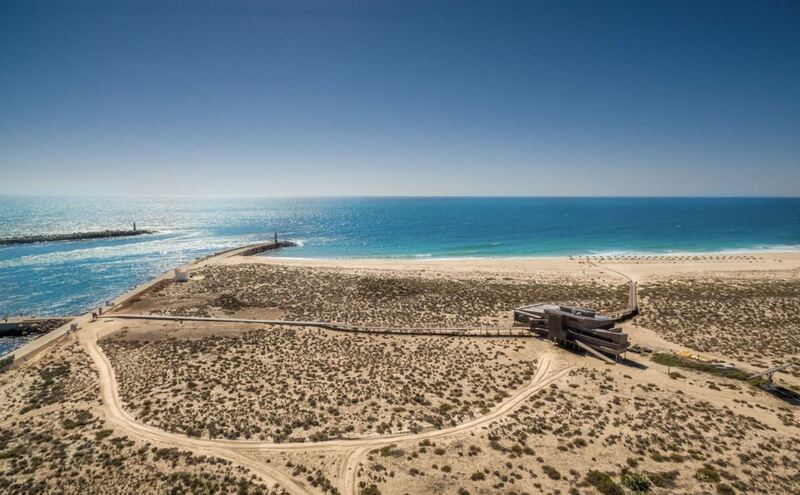 It is also possible to visit Ilha Deserta from Olhão, although there is no direct connection. 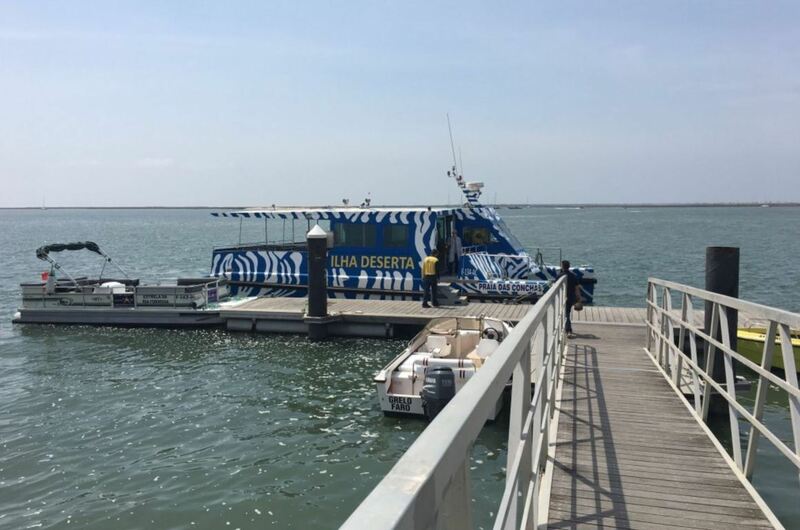 From Olhão you take a ferry to Ilha da Culatra, and from there you take a water taxi to Ilha da Barreta. This is not very common. People in Olhão usually visit Ilha da Culatra, while people in Faro visit Ilha da Barreta. 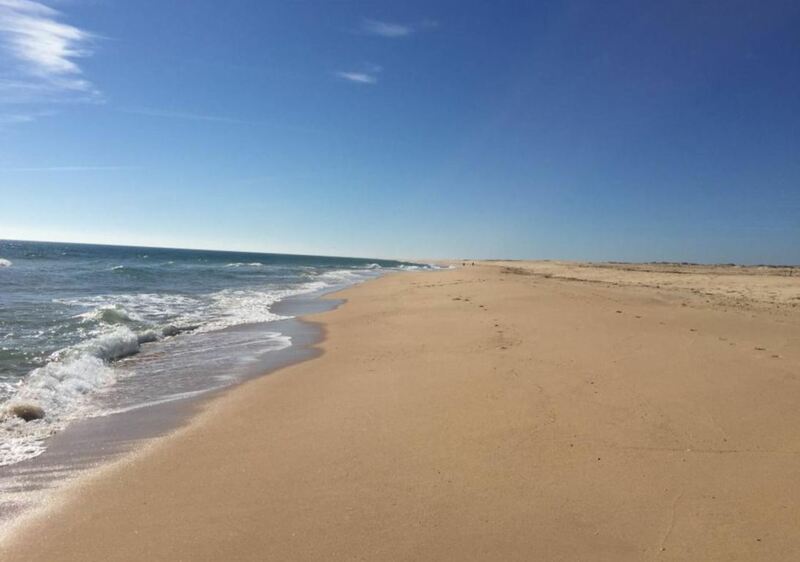 Ilha Deserta is part of the natural park of Ria Formosa. This is one of the most beautiful pieces of nature in the Algarve. You will see many species of birds here. 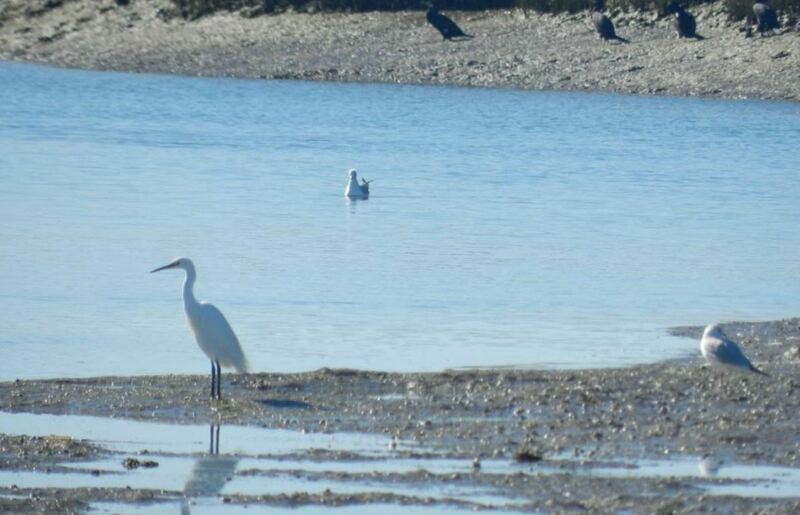 Over 300 different species of birds have been spotted on the island. The whole island is a hotspot for biodiversity and the place is ideal for birdwatching. 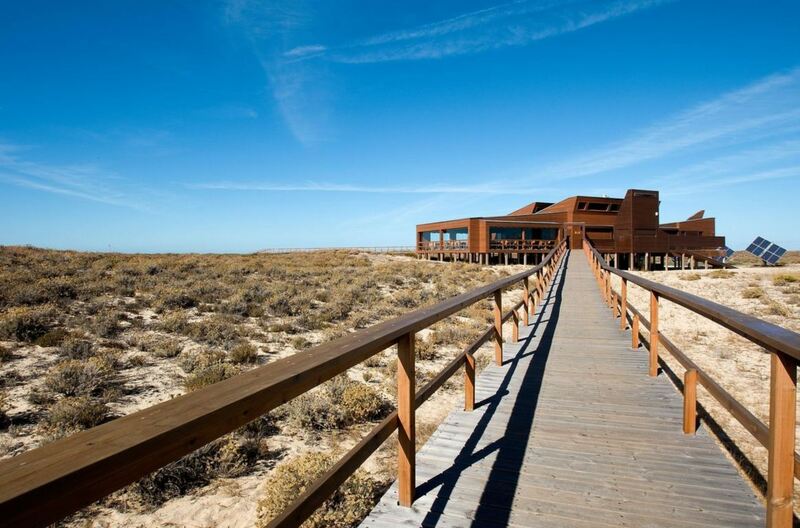 It is also possible to book one of several nature tours around Ria Formosa, near the island. 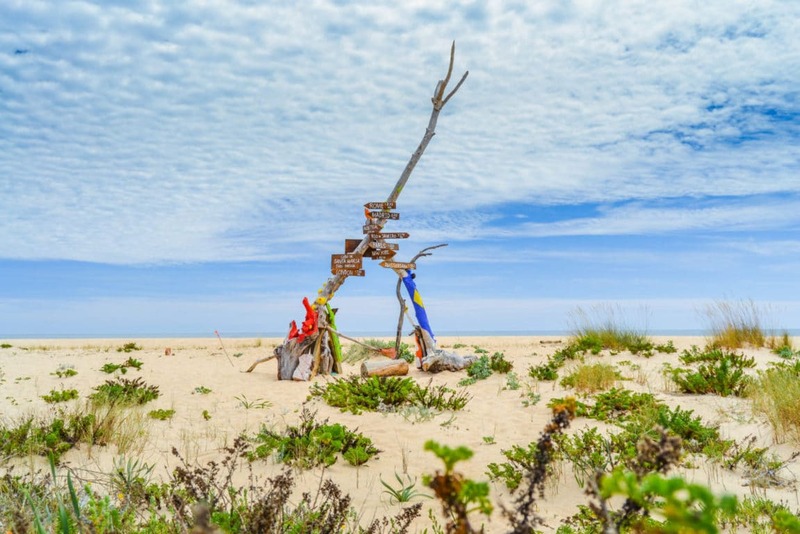 For example, there is a guided tour from Faro that takes you to the natural park of Ria Formosa, then to Ilha Deserta and back to Faro. We recommend any of the following tours. Stay Hotel Faro Centro. This 3 star hotel is located in the centre of Faro. This hotel is for people who don’t like to pay too much money, but just want a comfortable bed and a nice breakfast. Hotel Eva. This hotel is located near the Marina in Faro. 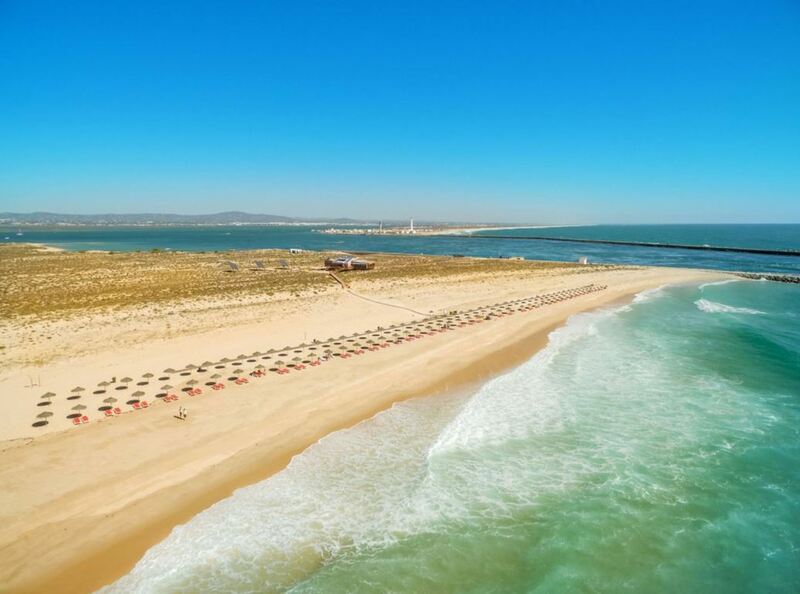 It has a beautiful view over the city of Faro and the Ria Formosa. Facilities include a swimming pool, a fitness area and yoga classes. It is one of the most popular hotels in Faro. Luxury Guest House Opus One. This beautiful guest houses provides a very good value for money. Luxurious, but not expensive. They can also arrange many outside activities for you. Highly rated. There are almost no facilities on this beach. The few facilities that are available, are concentrated in the restaurant O Estaminé or in the area nearby.